The words "green" and "sustainable" might bring to mind images of sleek, modern, energy-efficient homes. But long before solar panels made their debut, the Taos Pueblo community in current-day New Mexico stood as a model for locally sourced, climate-conscious design and building methods. Occupied by the Taos Pueblo Indians for more than 600 years, this cluster of dense, stacked buildings embodies the concept of "it takes a village" - both to raise its young and to build, protect, and sustain itself. Pueblo buildings are constructed of adobe: sun-dried, mud building blocks made from earth available near the building site. Adobe construction delivers energy efficiency in the desert climate. The thick mud walls serve as natural insulation, absorbing heat during hot days and radiating warmth during cool nights. Two-foot thick, load-bearing adobe walls on the lower levels support the pueblo's upper floors. These thick walls allow the living units to stack five stories high, with access to the upper levels via exterior ladders. This design also provided protection if enemies approached. Residents could pull the ladders up behind them and enter the living spaces via ceiling hatches. The load-bearing building design seen in these pueblo walls remained the standard for tall buildings for hundreds of years, even for	the earliest tall buildings constructed of brick in cities such as Chicago and New York, before the advent of steel-frame construction. Today, while most Taos families live in modern homes outside the pueblo, the community continues to maintain this ingenious ancestral structure as part of its heritage. 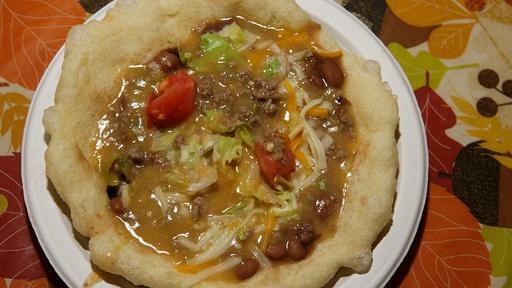 Taos Pueblo is the only living Native American community that has been designated both a World Heritage Site by UNESCO and a National Historic Landmark. Explore the official site of the Taos Pueblo. The Taos Pueblo is a UNESCO World Heritage site. View a 1941 Office of Indian Affairs film on the Pueblo people. 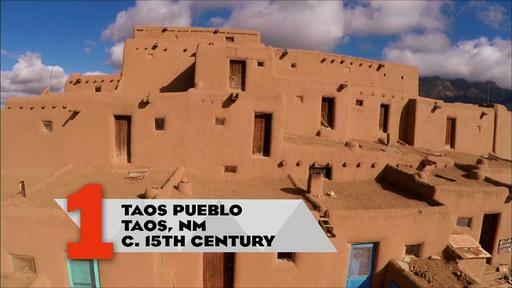 The Taos Pueblo has been occupied in current-day New Mexico for more than 600 years.